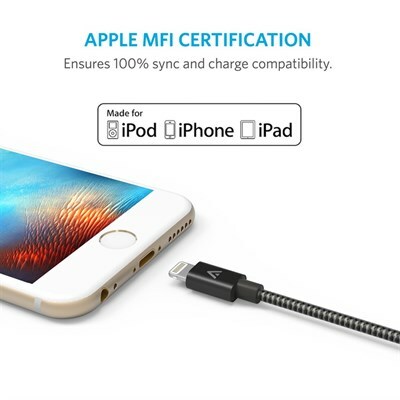 Apple MFi Certification Each cable contains a unique, verified serial number and an authorization chip issued by Apple to ensure 100% compatibility with any Lightning device. Incredibly Durable We bent this cable over 4000 times and saw no damage or change in performance. 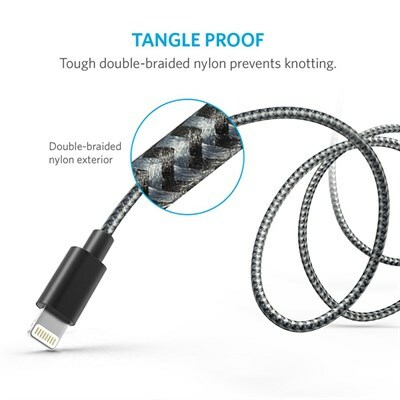 Premium nylon fabric feels great and doesn't tangle. Perfect Fit The super slim Lightning connector head fits into most case openings. 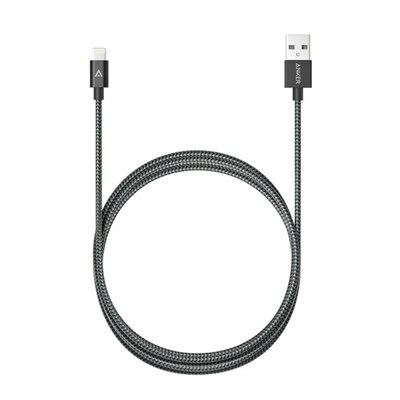 Don't be denied your case of choice by a bulky cable. 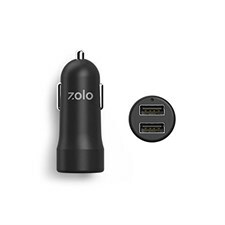 Compatible With: iPhone 7 / 7 Plus / 6 / 6 Plus / 5s / 5c / 5, iPad Air / Air 2, iPad mini / mini 2 / mini 3, iPad (4th generation), iPod nano (7th generation) and iPod touch (5th generation). 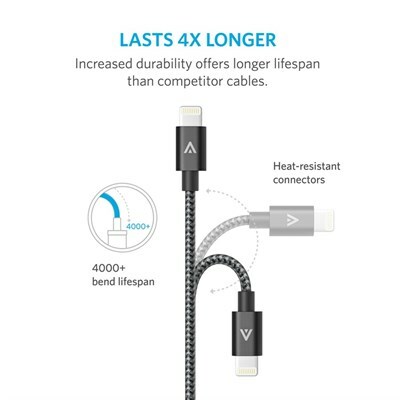 Please Note: This cable's Lightning connector does not fit Lifeproof iPhone 6 cases. 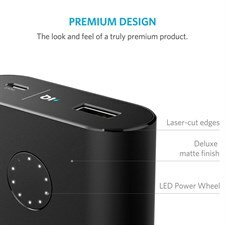 It will fit Lifeproof cases for other devices as well as the vast majority of cases from other manufacturers.